The Board of Directors provides leadership, expertise and governance to PRERNA and works in good faith to further the endeavors and best interests of the organization. Board member roles include fund development and establishing collaborative partnerships with other mission-based nonprofits to expand the services that are provided to refugee families. If you are passionate about empowering refugees to lead sustainable lives as productive members of society and wish to join PRERNA’s board, please contact Meena Sankaran, Executive Director. Seema Batavia is a passionate business leader who is focused on making a positive impact through investing and working with businesses that are solving society’s most pressing problems. Through her role at Mindfull Investors, Seema is involved with all aspects of investing from conducting due diligence and engaging with entrepreneurs to managing day-to-day operations and the online crowdfunding platform Mindfull Crowd. She has over 20 years of cross-functional business experience across management consulting, technology start-ups, Fortune 500 companies and venture capital. Seema currently serves on the boards of two non-profit organizations, PRERNA and Yes! for Schools. She is also an active partner leader at the Silicon Valley Social Venture Fund (SV2). Her most challenging and rewarding role is being the mother of twin six-year old girls. She is a yoga and meditation teacher, which acts as the foundation of her life. 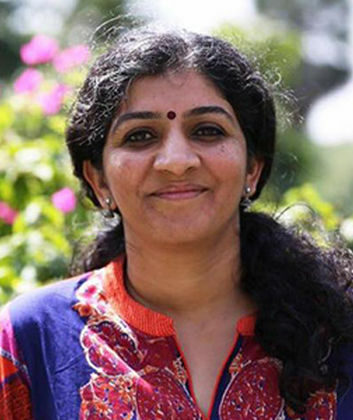 Rekha Govindan Kurup is the Founding Director of She Stands Tall Project in Bangalore, India where she educates, empowers and engages women and men in feminine leadership models that promote compassion, cooperation and creativity. In her capacity as a board member, she contributes to the growth and development of PRERNA. 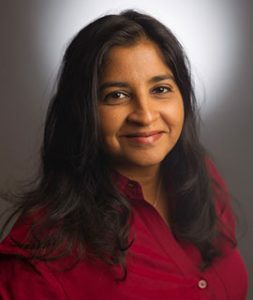 With a background in Computer Engineering, Rekha worked in Silicon Valley, CA for over a decade before pursuing her passion in the non-profit sector. With more than 15 years of experience, she has served in a wide variety of roles including executive director, fundraiser, outreach coordinator, partnership builder, event organizer as well as leadership and life skills trainer. Rekha has worked with people of all ages from children to senior citizens. Her previous positions have ranged from Social Entrepreneur and Women-Centered Spirituality Coach to Expressive Art Educationist and Breath & Meditation Instructor. Rekha is also an active social media blogger. 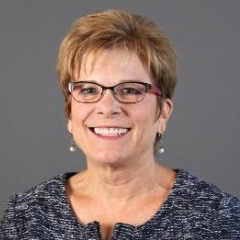 Susan Twietmeyer is a seasoned executive with 25 years of experience in the technology, healthcare and non-profit industries. She currently holds the position of Administrative Director of the Histocompatibility Laboratory at Stanford Health Care. Her broad background includes, finance, marketing, planning and operations. Susan is a lifelong volunteer and currently serves on PRERNA’s Board of Directors. She was a board member of Ronald McDonald House at Stanford and also served as a Stephen Minister, Program Director of Tomorrow’s Leaders Today youth leadership program. Susan was also a co-chair of the Lifelong Learning Skills Alliance with the Santa Clara Unified School District. Meena Sankaran is the Board President and Founder of PRERNA. She is also a social entrepreneur, business leader and technologist driving innovation, strategy and execution to solve for challenges that bring about global impact. She has been a key influencer through several leadership roles to customers across different organizations including startups and multinational corporations like Cisco. She is the Founder and CEO of KETOS (a 2017 Nasdaq milestone maker) focused on disruptive technology with water to enhance health on a global scale. She is also the Founder & CEO of KloudXP, an engineering consultancy company enabling customers on data center customizations for their next wave of business growth. An active board member across several early stage startups, she is also a leader of the W.IN.S (Women’s INner Strength) group (organically grown over 450 members in 18 months) that empowers women across careers to reach their true potential. Born and raised in India, Meena immigrated into the United States as a student. From her firsthand experience of starting a new life in the U.S., she has a comprehensive understanding of the difficulties involved along with knowing the importance of assimilating into a foreign society. Meena is committed to giving back to her community and adopted country. Full of passion and dedication for helping those that are in need, leading PRERNA to assist refugees is a highly personal mission for her. Meena is currently serving as Vice Chairman of the Refugee & Immigrant Forum in Santa Clara County. Learn more about Meena Sankaran.